Your home should be a safe place. It is where you live, where you have built your life, and where you make some of your best memories. To protect your home, you need to take proper precautions to help discourage criminals and burglars. Try a few of these ideas to keep your home more secure. The appearance of your home will do a lot to attract or deter intruders. Your landscaping choices and lighting provide factors that they will consider. When choosing landscaping around your home, avoid planting tall trees near second story windows. A sturdy tree is great for climbing to upper windows, which are generally less secure than the ground floor of a home. And keeping tree branches away from windows will not only keep people out, it will make it harder for people to sneak out. If you have bedroom windows on the ground, consider planting prickly bushes below to discourage people from approaching them. You should also make sure that your porch lights illuminate the porch properly and that you don’t have any burned out bulbs. Turn on the lights before your answer the door, particularly if you aren’t expecting someone. Intruders want to sneak up on you and they don’t want you to see their faces, so make it harder on them. Security cameras provide a lot of protection and can also help you keep track of what is going on outside your home. They can be mounted inside or outside and monitor the area they’re focused on all day and night. Most cameras are motion activated, so when these cameras detect people, animals or a vehicle, they automatically record and store the footage on an included hard drive. This allows you to review it at a later date in case video is needed for evidence purposes with the authorities. Be sure to purchase one with night-vision capabilities as well. Many security systems include multiple cameras and large hard drives for video storage. Many wireless cameras can also connect to a phone app so you can view live footage remotely. This is one of the biggest deterrents for potential thieves. An audible alarm system is an excellent way to protect your home, as most burglars aim to avoid homes equipped with alarm systems. When the system is triggered, it can automatically alert the authorities of a security breach. When an alarm system is accompanied with video from security cameras, it increases the likelihood that the perpetrator will be caught. Alarm systems can also warn you when someone leaves your home, which can be useful if you live on a busy street or you have a pool in your backyard. 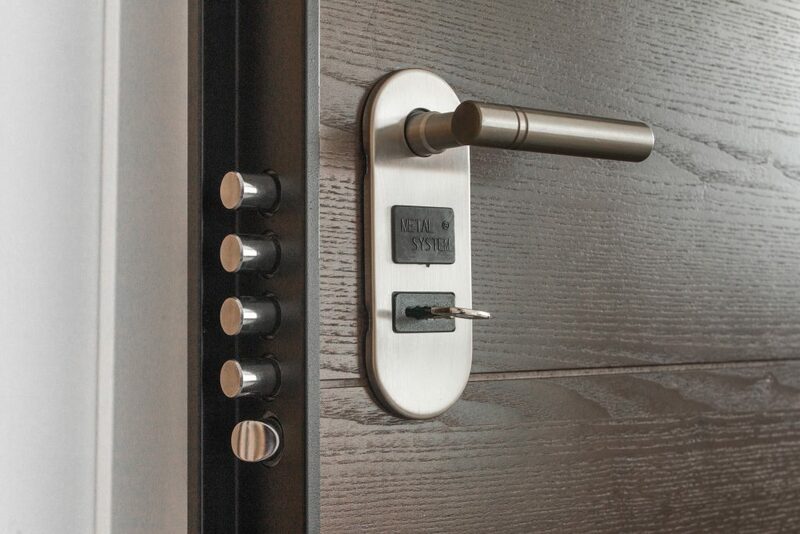 Sometimes, home security is as simple as locking your doors and making sure your alarm system is armed. Beyond a regular door lock, consider installing deadbolt locks on the main entrances to your home. That way, even if the intruder manages to pick the lock, they still can’t open the door. Doors that are deadbolted take a lot of work to break down, and intruders are more likely to give up and find another place to break into. Even if they don’t, you or one of your neighbors will probably notice before they are able to break in so you can alert the authorities. Don’t forget to make sure you lock the doors to your garage and from your garage into the house. These doors are often forgotten and make good entry points for intruders. When your home is fortified with these additions, it can help keep you, your family and your possessions safe, especially when you’re not home. If you live in an area where break-ins are common, or in an area that’s very secluded, it’s a good idea to invest in some of this equipment to keep your property protected.